TARP funds with no strings attached? Somewhat understandably because of the way Hank Paulson, umm handled, the first round of bailout funds, it now appears that many of the institutions that took funds from the Troubled Asset Relief Program (TARP) thought it was free money with no strings attached. So when Wells Fargo announced this week that it would be repaying TARP funds before the end of the year, Wall Street cheered and their share price jumped. The second wave of news revealed that the real reason for the seemingly miraculous turnaround was the $500,000 limit in cash compensation for executives of organizations that participate in TARP. Basically these bankers don’t want to participate in capitalism if they can’t get a King’s ransom for it. I talk a lot about value and linkages, and clearly banking executives value getting paid a lot, and I wouldn’t be surprised if there’s a correlation, if not a cause, between a certain minimum pay and bank performance. I can live with that. The part that got my dander up, and it is up, was hearing that the banks that took TARP funds are now pushing back on paying the significant premiums they agreed to pay when they took the money. 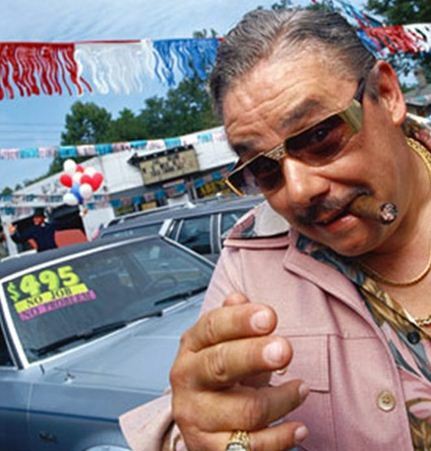 They are refusing to make a payment they agreed to when they took the money. . .Do you think people buy cars from schlunky used car dealers with outrageous interest rates because they like it? NO! They do it because no one else will loan them the money because they have crummy credit ratings and the schlunky car dealer is their last resort (in some cases I think it is actually because they are bad at math, but I will come back to that). And do those people on Main Street driving those used cars get to refuse to make payments they agreed to? I don’t think so. Who are these people running these banks behaving like this and why don’t we get rid of them like we did with Rick Wagoner at GM? Now the banks are being pressured to sell off their worst mortgages, their toxic assets, what industry analysts have said is more than $1 trillion in the US, and the banks are saying “no” to that as well. The issue is that the banks value these assets much higher than the investors are willing to pay. The New York Times reported this morning that Frank Pallotta, a former Morgan Stanley mortgage trader said that because the gap is so wide “if every bank was forced to sell at the market clearing price, you would have only five banks left in the market.” I am sorry if the timing isn’t convenient for these banks to sell their toxic assets, but as I understand it, many of them would have died without TARP anyway, so they lost their right to decide whether it is, or is not, good timing. As I understand it, to be a great banker, you need to be good at math, and understand risk. Clearly, the bankers that got us into this mess failed at that simple formula (I get that it’s slightly more complex than that). I am not an expert in banking, but my question to Frank Pallotta is, “why can’t we have just five banks?” let’s rethink that and see if, in the long run, that is a good solution. This is all about getting the outcome we want, and as usual, I don’t care “how” we get there. We already saw what a disaster relief funds without strings were, if Treasury gets lax and fails to enforce what was agreed to up front, I don’t know why we would expect a different outcome. Someone who wants to start a business inside of an already existing and successful business, an intrapreneur, may expect it to be easier than a classic startup because there is an existing infrastructure to leverage. But just as certain things are already in place, there are also other factors that the classic startup entrepreneur doesn’t have to confront. Twice I have been an intrapreneur inside of public companies, first with CRM vendor Onyx Software in 1999 when we built a business for one of the first subscription CRM solutions (many would call this a cloud service today) for small and medium businesses, and then in 2003 at Microsoft with the Motion business architecture methodology and tools whose success led to the 2008 Harvard Business Review article “The Next Revolution in Productivity” and the book Rethink. 2. Luck. No matter how great your idea is and how perfect the timing, you need luck around every corner. 3. Outside advocate. Especially if you are not a senior executive in your organization, it can’t just be you banging on the side of a garbage can lid to make this work. When your senior executives hear enthusiasm for the idea from the outside from someone they know and trust that makes it credible and real for them. So figure out who they listen to and figure out how to get to them. Jonathan Roberts from Ignition gave me this tip, and it remains some of the best guidance I have ever gotten. 4. Inside advocate. You need an executive sponsor to give you air cover when someone tries to shoot you down, which will happen. 5. Fast scale. If you have an idea that will generate $5 million in the first year, that’s pretty exciting to many businesses, but it has to be a LOT bigger than that for a big public company to get excited about it. 6. Fit. How does it fit into the existing momentum, models, and culture of the organization today? Does it require a different skill set to build it? A different target market to sell to? Might it pose a threat to business partners? The more disruptive the idea, the more compelling the business case has to be. 8. Political awareness. It is a simple reality that big companies are political and not everything that goes on is based on sound business fundamentals. When you see something happen that doesn’t make sense in terms of the progress of your idea, be very careful before you make your next move, you are probably into the political waters and you need to be sure you know who your friends and enemies are. 9. Funding. Getting people excited about an idea is an important step, but funding is the language of genuine support in business. 10. Patience. Big organizations aren’t very agile, so you need to set your expectations for a long journey of ups and downs. In my two cases, it was much harder than I expected, and there were all sorts of surprises and setbacks, but success made it all worthwhile. Good luck! You are going to need it. It’s pretty simple, the higher your cholesterol, the higher your risk of death. Your cholesterol level is easy to measure and mostly a factor of your genetics and family history, but your own day-to-day regimen of diet and exercise can, in some cases, play a major factor. I happen to have very high cholesterol, and my doctor thinks it’s mostly because of my family history. Lucky for me, there are now drugs to manage high cholesterol. Companies, almost across the board, today have an increased risk of death and I can argue that there is a loose analogy to cholesterol in the sense that risk is pretty easy to measure, and some of it is a factor of industry (like family history), and some of it is a factor of behavior (like diet and exercise). So when I look at an organization like The New York Times, right now their cholesterol risk is high but not dangerous, yet, and a lot of their troubles are because of their industry (family history). The branch of the family that went to online news seems to be on a better path, but the printed paper branch of the family is struggling. It’s not the fault of The New York Times that their industry is losing momentum, and because they make a great product, I expect that behavior and others will steer them away from higher risk. Their situation is understandable and excusable for now. 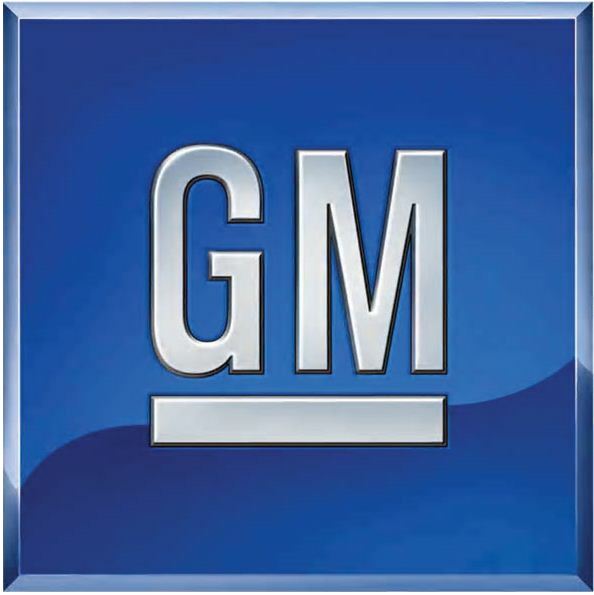 In tough economic times, it is also understandable that the auto industry is starting to see higher risk across the board, but it is inexcusable that an organization like GM didn’t manage their risk better, and I blame their struggles on bad behavior. The risk signs have been there for a very long time, even when the industry was strong. They are not in a commodity business, so their product needs to appeal to specific sets of customers, and it flat out failed to do that. To make matters worse, their risk is so out of control right now, given how long it takes a manufacturer to turn out a better product, I don’t think bailout money is close enough to a cholesterol drug to lower their risk to keep them alive. I hope I am wrong. The one I cannot understand or excuse is the banking situation. It is largely a commodity business, where the understanding and measurement of risk is among the most mature, they still managed to have such bad behavior to get some of the highest risk of all. I know they even have the actuarial tables to track and report the risk, and re-insurance companies to spread risk, especially for disasters. I remember years ago my Dad got booted by his auto insurer for two no-fault accidents. Thankfully he was re-instated, but clearly that insurance company tracked the risk not just of his background history and age, but also his specific behavior and once the risk got too high their equations kicked him out. And oh, by the way, I don’t hear about auto insurance companies being in any trouble – so why just home banking and insurance? While I am not a banking expert by any measure, mortgages also have very knowable risk getting into them, and the customer behavior in making payments is also pretty straightforward. So even as mortgages were bundled and sold and re-sold, with tools in place to know the risk of each mortgage, it’s unbelievable to me that we are where we are. The good news is that I believe done correctly, bailout money will get this industry back on solid ground, but they should really have been the last ones to need it. So if “what” you need to do is Manage Risk, understand how easy it is to know and measure, what parts of it you can manage through behavior, and how much are simply a factor of your industry, and from there decide how much rethinking you need to do to stay alive, and safe. Now if you will excuse me, I am going to have my daily dose of simvastatin and hop my rowing machine. It’s more accurate to call it a false dichotomy, but when people talk about cost cutting, they often talk about it almost as though it is the opposite of innovation, that they are mutually exclusive. Not so. It is (literally) yesterday’s news that you can use technology, even cloud computing, to create an innovative business model. Yesterday Microsoft announced that it will stop making the Encarta digital encyclopedia product and many people speculate that the success of Wikipedia, a cloud-based encyclopedia, was a big part of the demise of Encarta. We have seen this many times before where Netflix used the cloud to help create an innovative new way to rent videos, Amazon used the cloud to sell books, the list goes on. Even though people understand that these innovations cut costs out of the business model, they seem to see it almost as a footnote to these innovations. Someone recently asked what the biggest mistake is that people are making in thinking about cost cutting in these turbulent times. My answer was that people are underestimating how much cost and waste has crept into their operating models in the past 20-odd years of growth. I have evidence that companies should be able to cut 20%-40% from their operating costs just from eliminating duplication and waste. But I will go a step further and say that one of the best ways to achieve this level of cost cutting is innovation, and while cloud computing opportunities absolutely open a world of new possibilities for innovations in cost cutting, they are not the only way. Look at Tata Motors and their new $2,000 Nano car. The focus of my work is outcomes, “what” you are doing, and “what” Tata Motors did was come to market with a car that is 90% less expensive than other cars in its class such as the Smart Car from Daimler-Chrysler. “How” they did that is their business, but the point is that they did it and that sends a powerful message about the magnitude of the cost cutting opportunities to the rest of the world, not just the automotive world. When you rethink your cost cutting approach, and you shed your doubts, I think you will find innovation and cost cutting to be an even better combination than most of us have found with peanut butter and chocolate. “Citi never sleeps” is the slogan next to the Citi logo that appeared on a pretty big ad on the front page of the New York Times this morning. The Sunday New York Times remains one of my favorite things in the world, so part of me was happy to see the ad because as we hear about the newspaper business being in tough shape with the Seattle Post-Intelligencer and the Rocky Mountain News in Denver shutting down, I figured a front page ad is a great source of revenue for them. But then as I read the ad, which had a picture of a lunch in a container on a desk, the theme was “Save Smarter” and it started with the suggestion “Bringing your lunch to work is one easy way to save.” and went on to say “Citi has many others” I thought, OK, this is a timely ad and it’s going to have some exciting information about how they have unique or innovative ways to help you grow your money with Citi. But it didn’t. It talked about some specific services Citi offers and pointed you to a web site with more suggestions. It seemed like an old message from a different time. Things are so different these days in so many ways, businesses really need to look at their messages and their value propositions and see if they need to be updated. ING DIRECT is an example of a bank that was created to help customers make more money by offering very high interest rates (which they can do because they don’t spend money on branches – it’s an internet only bank, so their costs are a lot lower) and that message remains a great message for the current climate. Their message is essentially that they are working really hard to grow what you save (instead of coming up with creative ways for their customers to save money). Retail banks have traditionally made their money from investing the money we have in our savings accounts, so it’s no surprise they want us to save more – that’s what’s in it for them, but what’s in it for us? Commodity services, free toasters, and run-of-the-mill interest rates were fine when location and the bank teller played such a key role in our choice of bank, but now that the internet and the ATM have for all practical purposes replaced the teller and made bank location much less relevant, banks need to tell us what makes them unique, like ING DIRECT has done. So I hope Citi (and the rest of the retail banking world) will sleep on it and consider rethinking their message and value proposition. The old adage “if it ain’t broke, don’t fix it” holds up in good times and in bad, but I have found that the opposite (if is broke, don’t fix it) is also a valuable adage, and especially in these turbulent times when investment funds are so precious, it merits some attention. In organizations large and small, I see people concluding that when something is underperforming or not meeting expectations, they need to invest in it to fix it in some form or another. While it seems like a perfectly logical conclusion, it is often insufficient information to merit an investment, or even a spot on a project prioritization list. And the piece that is missing in the analysis is “cause”, will an improvement in the performance of whatever it is that is “broken” cause an improvement in the overall organization, or even just the area it is a part of? Very often then answer to that question is “no”, and the reason that question is often not asked is because mamy people lack a way of representing their work in a way that enables that conversation. I find heat mapping to be a very simple way of setting up this conversation. 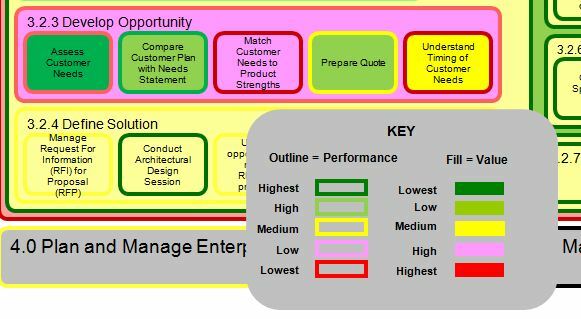 This is an example of a heat map that shows several blocks of work, in this case from the work in developing a sales opportunity. The content is actually not important for this example. In every case, each shape has an “outline” color that indicates how the work’s current Performance, and each shape also has a color for its Value to the organization. There are any number of ways to define performance and value, what’s important is that you define it, and while I have my standard definitions which I am happy to explain, it’s more important to use a consistent definition rather than argue over a best definition. With a good current view of work, it makes it much easier to articulate what it should look like in the future, and from there create a roadmap. Hopefully adding “cause” to the context of your discussions will help you rethink your project selection and prioritization approach.